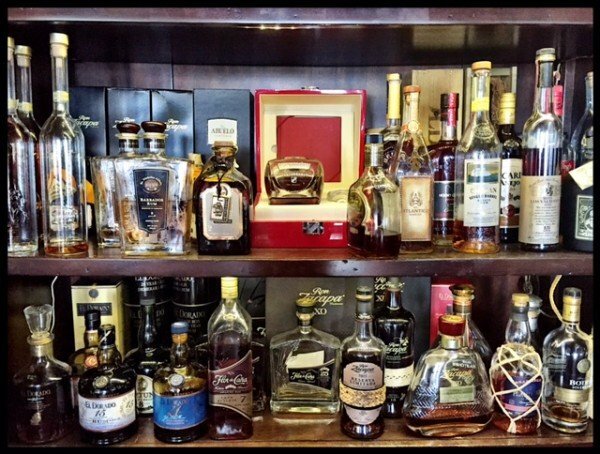 A unique collection of rare rums from four corners of the world, converge in this Rare Rum Cabinet, Cayman Island’s largest and finest rum collection. Rums here are for savoring and sipping, much of the collection is unusual, and unique to Upstairs’ Rare Rum Bar. Your first foray into the world of Rare Rums? Select a ‘flight’ – a tour of rums – an experience for your mind and palate. You’re a connoisseur you say? – Pull up a chair, we may be here a while. Learn about the diversity of rum, the different methods of distillation and how to make your own tasting notes to take home. A fun and informative night! Rare Rum Introductory Flight $25 – An experience and an education to introduce you to sipping rums. Appleton Estate 12 yr old,Ron Zacapa 23 yr old,and Pyrat XO. Rare Rum Connoisseur’s Flight $35 – An experience for the more advanced palate.